I’m here with James Luceno, author of Darth Plagueis, and we’re going to talk a little bit about Star Wars characters and the books. Let’s start with a little bit of history on Plagueis. That book was a long time in the making? Five years in the making. The interminable project. It almost died on the vine because the first version just didn’t pass muster at Lucasfilm. Lucasfilm wanted more Sidious than I had included. They were prepared to let the whole project slide, but by that point I had done so much work on developing Plagueis as a character and thinking about Sidious’s background that I was not about to let it go. I asked if they would be willing to revisit the idea, they said yes, and we got the ball rolling again. I worked closely with Howard Roffman, who was then vice president of Lucasfilm, and finally the book was accepted for publication. When you started with Palpatine, was it easy to get into his head? Or did you really have to think about it? I had been thinking a lot about Palpatine going back as far as Cloak of Deception. I got to explore him a little more in Labyrinth of Evil, and again in Dark Lord. So by the time I began writing Darth Plagueis I felt I knew Sidious better than I knew almost any character that I’d written. Not necessarily everyone’s choice of the character you want to know a lot about, but that’s how it was. 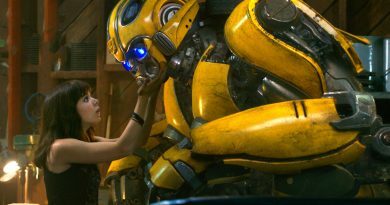 There’s a lot of talk about writing villains recently from different writers across all sorts of genres, and making them sympathetic or relatable. What are your thoughts? Because Sidious came off so well. We were still a little afraid of him. The last thing I wanted to do was make him sympathetic, because I felt that George Lucas, and even the actor who played Sidious in the films, always viewed him as the embodiment of evil. You have to tread very carefully when you’re dealing with a character of that nature. For a while I felt that perhaps his character shouldn’t even be explored. In the Sherlock Holmes novels we never learn a lot about Dr. Moriarty, which allows readers to do a lot of filling in. So I actually hold back on detailing Sidious’s childhood, simply to leave that part of the story untold. But I had to give him a moment where he made the transition from being inherently evil to openly evil. That was one of the scary parts of the book. Even to write it was unsettling. You write it and wonder, where is this coming from? You know, I didn’t think I could get that dark. I should sit down with a psychiatrist and figure out where it came from. You weave a lot of continuity into your stories. Is that easy or hard? Do you spend a lot of time on Wookieepedia or the Holocron? When I first became involved with the franchise thirteen years ago, I made it a goal to catch up on everything that had been written up to that point and to stay current on every book that came out. Plus I have one of those brains that is capable of keeping a lot of stories in place. So the continuity references were already there. I just felt like I inhabited this big world where all these events have taken place. It’s the history of the Star Wars galaxy. And I enjoy emphasizing continuity. It’s not everybody’s cup of tea to find all those references in a book, but for me they make the world a bit more realistic. Your writing is also very visual. In Star Wars we see lots of new visuals in the movies, but in the books you’re creating these very vibrant visuals with the way you write. Do you think that because you’ve traveled a lot, that helps you create those? I think so. Whenever I’m world-building or trying to create a location on a planet, I often think: What about that place in Turkey, or what about that place in Laos? I tweak the places to give them a science fiction feel, and end up with a location that feels lived in. In traveling, do you also feel like you’re absorbing a lot of different cultures, and that maybe helps with aliens? All of my writing came out of traveling I did when I was in my twenties, when I spent five years wandering around the world. That’s when I first started keeping a journal, and it was out of that journal – where I recorded descriptions of places and cultures, and descriptions of people I met along the way – that my first novel emerged. I still draw on those early travels quite a bit. 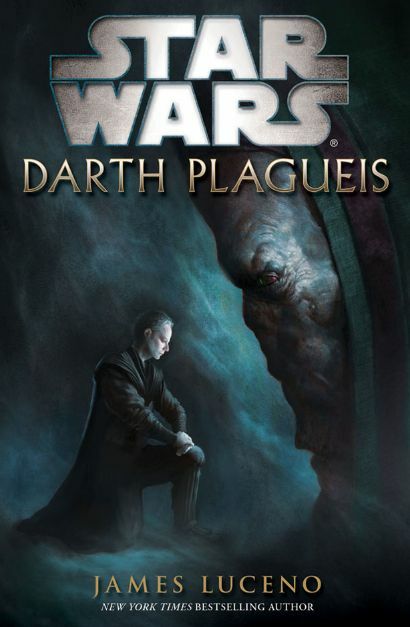 Going back to your pre-Darth Plagueis books, do you have any favorites? I’ve enjoyed all of them for different reasons. In the early New Jedi Order books I was drawing a lot on Brian Daley’s work. Brian was a close friend and a collaborator for many years, so it was fun to do those Han Solo books, which in some ways were a tribute to Brian. I had a great time with Cloak of Deception, perhaps because I had to take one line in a movie about Chancellor Valorum, and use that line to develop an entire backstory. Thinking backwards was a whole new process for me, and a great exercise. In Labyrinth of Evil it was fun to toy with the idea of the Jedi coming close to discovering the secret identity of Sidious. Every book’s a little different. Exactly. Wrapping up the eighteen-book New Jedi Order series with The Unifying Force was especially daunting. But I’d been deeply involved with the series from the start, so I really relished the opportunity to end it. Do you have any recent or upcoming projects outside of Star Wars that you would like to share with fans? 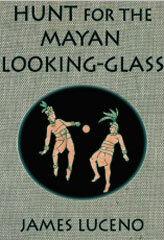 I’ve just made several of my early novels available as e-novels, along with my most recent novel, which is called Hunt for the Mayan Looking-Glass, which is an action-adventure story set during the Classic era of the Mayan civilization.